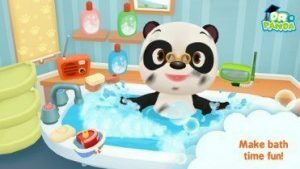 Dr. Panda Bath Time is a great new addition to the Dr. Panda app series. With Dr. Panda Bath Time, kids can learn about good hygiene early on through a fun interactive setting. I thought that the app would be fun for preschool age kids. 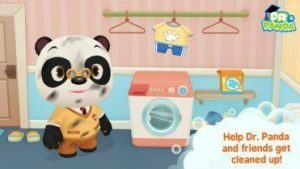 My son is 5 and he loves all the Dr. Panda apps! The goal of Dr. Panda Bath Time is to support good health and hygiene practices in a fun, playful way. This app is geared towards kids ages 3 through 5 years old, and is easy for kids to play independently. 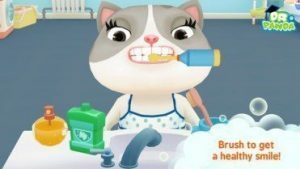 There are 6 fun activities which emphasize various hygiene routines, including taking a bath, going to the toilet, and brushing teeth. 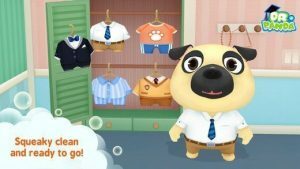 Kids will interact with fun animals characters as they care for them and get them all cleaned up. I like how the app mixes in fun, such as snorkeling in the bathtub and using a magical blow dryer. I really enjoyed the Dr. Panda Bath Time app. My son and I have enjoyed playing this app together. I would definitely recommend this app for preschoolers, especially those that are already Dr. Panda fans!